Es passiert, vor allem was die Teams betrifft, weiterhin viel in der Szene, so gibt es Veränderungen bei E-Frag.net Esports Club, Escape Gaming und Legacy eSports. Als erstes verliert E-Frag.net Esports Club sein Team, danach wechselt Nicolai 'glace' Jensen zu Escape Gaming und als letztes findet das australische Team Legacy eSports mit Jordan 'Hatz' Bajic endlich einen dauerhaften Ersatz für den geschiedenen Azad 'topguN' Orami. Mehr Details zu den Wechseln findet ihr in dieser News. Auf Twitter verkündete das bulgarische Team rund um Nikolay 'nkl' Krustev, dass man sich mit sofortiger Wirkung von der serbischen Organisation E-Frag.net Esports Club getrennt habe. 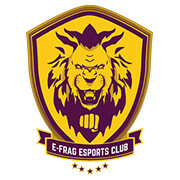 Seit Juli letztens Jahres spielte das Team unter dem Banner von E-Frag.net Esports Club und schaffte es sich in dieser Zeit unter den Top 20 zu etablieren. Momentan ist das Team auf der Suche nach einer neuen Organisation und spielt bis dahin unter dem Namen Mortal Kombat. I would like to thank E-Frag.net and their staff for the trust and help, when we needed it. One of the main reasons is that there are things we wanted to be changed in the new contract, we gave them that chance to improve, but unfortunately nothing changed in the past few months. Of course they are really great guys and you can definitely trust them, we can guarantee it. The next LAN event for us will be the ESEA Premier LAN finals on 7th of May in Leicester, where we face HellRaisers in the semi-final. From now on we will use tag MK until we find a new organization. If there is someone who's interested in us please write an e-mail to nkrustev93@gmail.com. We are sad to announce that we have let our Counter-Strike: Global Offensive team go. We feel that having an eSports club goes against the competitive integrity of our tournaments and events. It's also a barrier to achieving our long term goal of producing high quality events and broadcasts as well as developing grassroots CS:GO. We saw an opportunity with the team earlier last year and took it, it was an excellent learning curve for us and it helped us learn what teams experience and most importantly what they need during events and tournaments. We aren't interested in pursuing our esports club project. Laut eigener Aussage habe man bereits einige Anfragen erhalten, man wolle sich jedoch genug Zeit lassen um zu entscheiden, zu welcher Organisation man am besten passe. Zusätzlich möchte sich das Team erstmal auf die kommenden LAN-Finals der ESEA Premier Liga konzentrieren, welche am 7. Mai in Leicester (England) stattfinden werden. Es gibt große Veränderungen bei Escape Gaming, so gab man die Verpflichtung vom bisherigen Team Preparation-Spieler Nicolai 'glace' Jensen bekannt. Damit hat Escape Gaming wieder eine festes Main-Roster. Zuletzt spielte man nach der Trennung von Alexander 'SKYTTEN' Carlsson mit Stand-Ins, in erste Linie vor allem mit Fredrik 'slap' Junbrant, welcher dem Team als Ersatzspieler erhalten bleibt. Des weiteren setzte man in den letzten beiden Wochen auch den Schweden Jimmy 'Jumpy' Berndtsson ein, welcher das Team zukünftig als Coach begleiten wird. This last week has been an emotional roller coaster, with hard decisions all over the place and at the same time keeping everything under the radar. 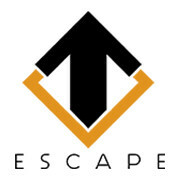 But I’m happy to announce that from today’s date I’m officially a part of Escape Gaming’s starting five! This brings so much excitement and pleasure, and I already feel really involved in this project. Luckily for me we share the same ambitions and visions for the game, wanting to be involved in the world’s best. It’s a long term goal that I will do my very best to achieve. The first step in this process is Sundays closed minor qualifier along with the qualification to SL I-League LAN finals next week. Thanks to my new teammates for this offer and Escape for bringing me aboard! Der Wechsel hat aber auch eine große Auswirkung auf Team Preparation, welche vor kurzem mit John 'wenton' Eriksson bereits einen Leistungsträger verloren hatten. Das hat zur Folge, dass die Organisation ihre restlichen Spieler ebenfalls entlassen wird, welche damit ab sofort wieder zur Verfügung stehen. Weiter sagt die Organisation aber auch, dass sie damit wieder offziell auf der Suche nach einem neuen CS:GO-Roster sind. Interessierte Teams sollen sich per Mail (hampus@teampreparation.net) bei Hampus Johansson melden. Das australische Team Legacy eSports ist wieder komplett, so wird Jordan 'Hatz' Bajic zukünftig die Rolle des fünften Mannes übernehmen. Das verkündete der junge Australier auf seinem Twitter-Account. Zuletzt erreichte Legacy eSports trotz Stand-In das Finale des letzten Ozeanien-Qualifier für die Asia Minor Championship, dort musste man sich aber gegen Team Immunity geschlagen geben. Jordan 'Hatz' Bajic wird den bisherigen Spieler Azad 'topguN' Orami ersetzen, welcher aufgrund seiner familiären Situation den Verpflichtungen dem Team gegenüber nicht mehr gerecht werden konnte. Der erst 17-Jährige Hatz ist unter anderem aus seinem vorherigen Team TRIDENT bekannt, mit welchem er erst kürzlich an der Ozeanien-Gruppenphase zur Counter Pit League Season #2 teilnahm. 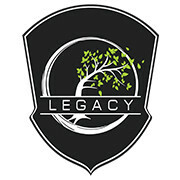 I will officially be a part of the Legacy roster. I'm glad to be given this opportunity to be a part of one of the best team's in the Oceanic region. I hope to progress as an individual and more importantly as a team player! Thanks to Legacy once again! Let us see what the future will bring. Jordan 'Hatz' Bajic has been a standout performer through his climb through the domestic scene, and his debut Div1 performance this year, we saw him heartbreakingly close to making finals in his first National LAN appearance. This young talent that comes to us from a friendly and close sister organisation in Trident Esports, will have the opportunity to remove all personal limits as he plays with the star studded Legacy line up of Havoc, Lightstep, ap0c and ofnu. ".... line up of Havoc, Lightstep, ap0c and ofnu." In der Auflistung ist kein ap0c, dafür Moku. Ist das der gleich oder iwo n fehler?